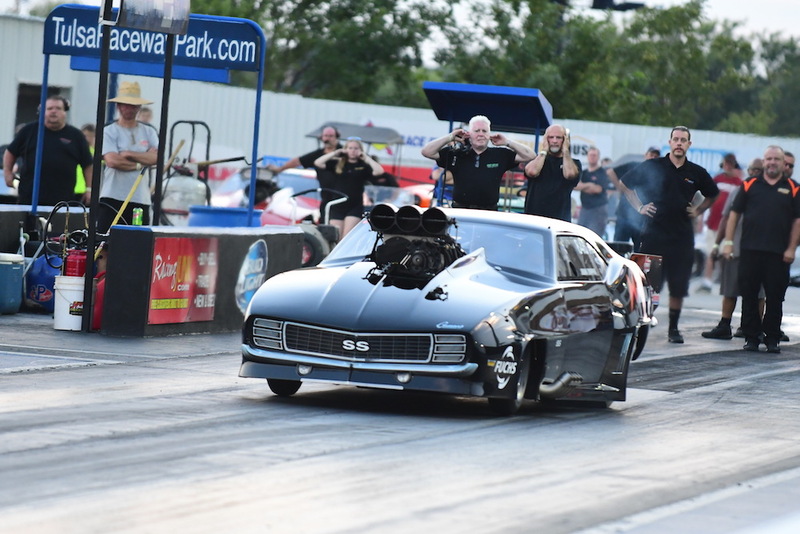 John Zappia has developed a reputation as one of the most experienced Doorslammer team owner and drivers’ in Australia, but his first race in the USA has seen him coming to grips with a very different experience. Earlier in the year Noonan Race Engineering purchased a new state of the art facility in Spartanburg, South Carolina USA. 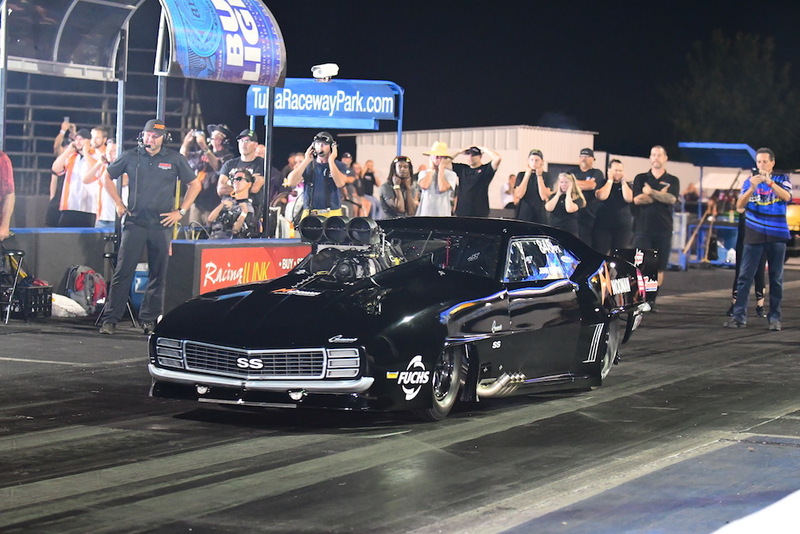 Shortly after, and in order to support their 4.9 borespace engine program, Noonan Racing announced that 10-times Australian Top Doorslammer champion John Zappia would drive the Noonan-owned ’69 Camaro, Jerry Bickel Pro Mod. 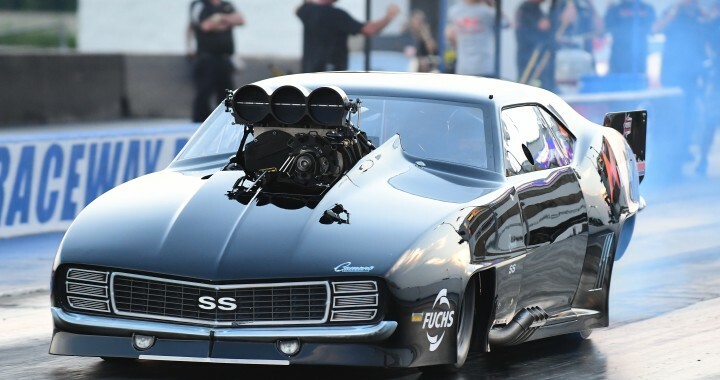 The car is the newest of the three Jerry Bickel ’69 Camaro Pro Mods in existence, and Zappia will compete in the last three races of the PDRA for Noonan Racing using the all-new Noonan 4.9 borespace engine. 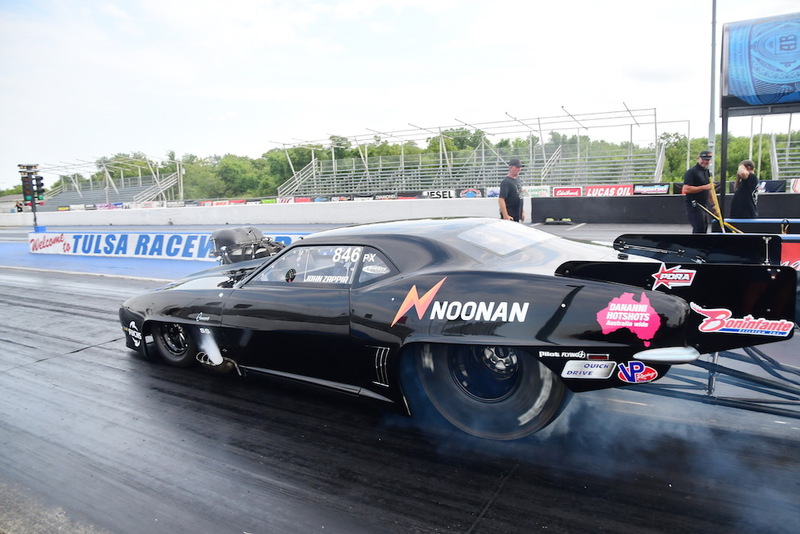 The car and team will be fully serviced and maintained from the Noonan stable, with Noonan CEO, tuner and engine builder Jamie Noonan stating it was an exciting time for the company. For the 55 year old legend of the sport Zappia, racing in the United States has been a long held dream, one that was realised as he rolled through the waterbox of Tulsa Raceway Park in Oklahoma. A few things were a little different for the champion. Like most Australian tourists, Zappia had to adapt from right hand to left hand drive – only he had to do it in Noonan Racing’s 3500 horsepower 1969 Pro Mod Camaro. “There was a lot going through my head at the time,” he said. “I was sitting on the other side of the car, the brake was on the other side, it had a transbrake, and an auto transmission – there was too much going through my head. 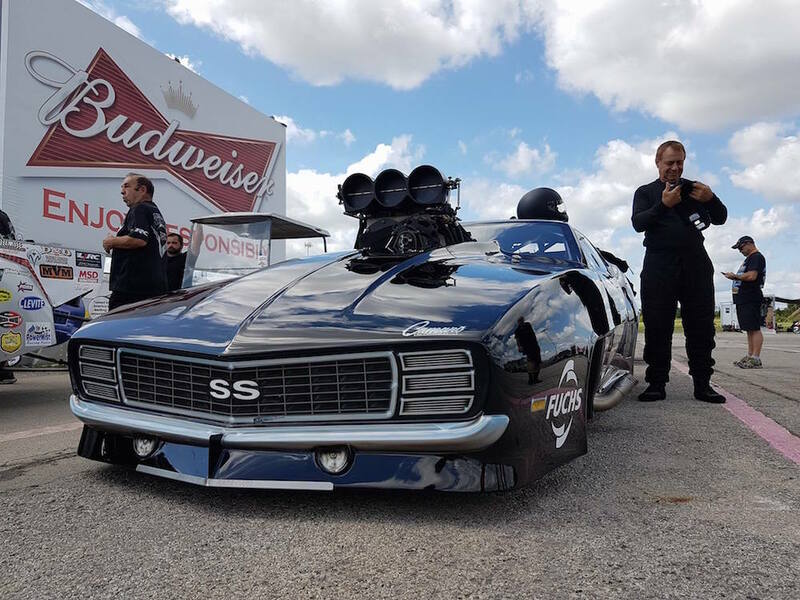 The Noonan team worked on wheel alignment and steering on the Pro Extreme Camaro, working closely to perfect the combination. 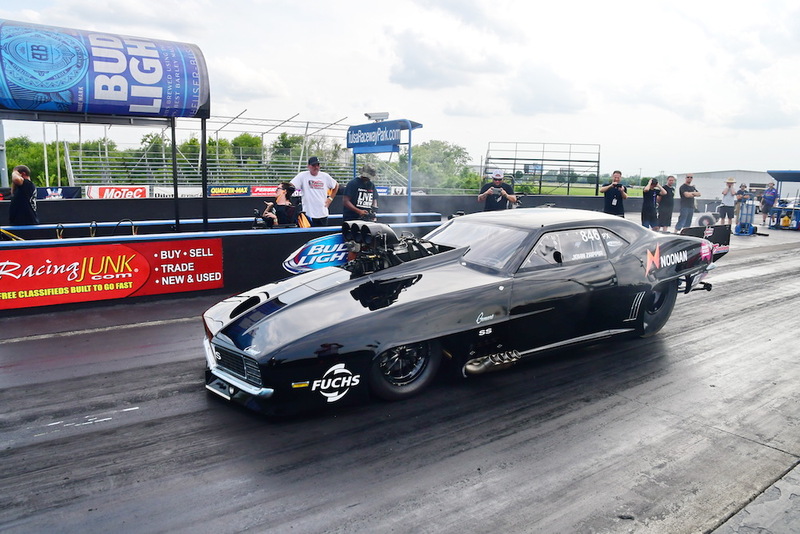 They were able to finish testing with a 3.69 (eighth mile) run at 204mph, before heading into qualifying for the PDRA event the next day. “We came out for our first qualifying pass and as I hit the throttle in the burnout, it banged the burst panel, so unfortunately we lost that run. The next run I went a bit easier in the burnout and it hooked up, so the tires were colder than they should be. 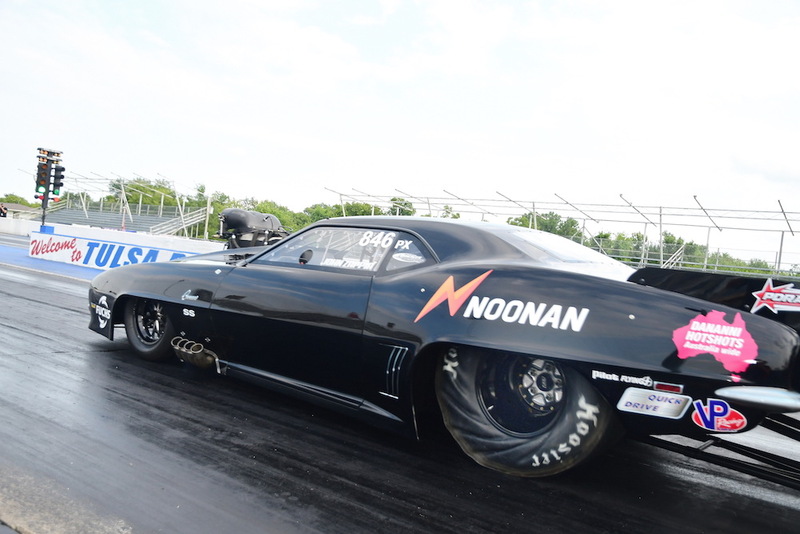 The team returned back to the Noonan headquarters disappointed with not being able to finish the event, but ready to regroup for the next round of the PDRA series at Galot Motorsport Park in Benson, North Carolina in September. 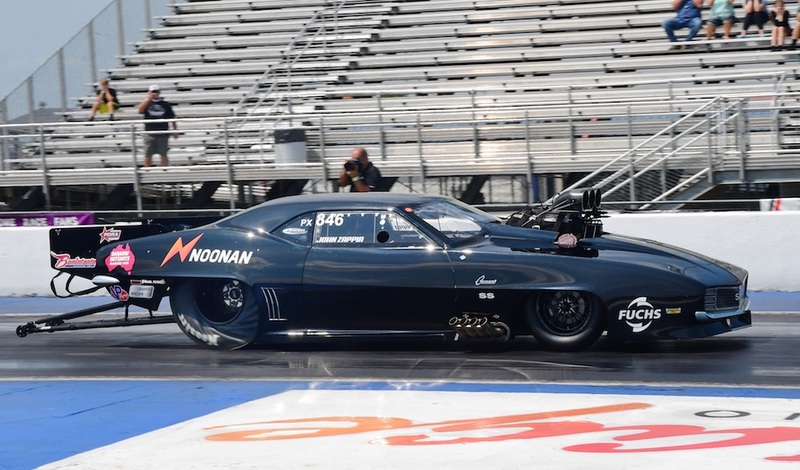 “The car ran with the 4.8 Noonan engine and we were happy with it and the performance of a brand new team. Now though, we are going to put the new 4.9 borespace engine in the racecar and get ready for the next two PDRA events at Galot and Virginia. “We will also be putting a B&J three speed transmission in with a Boninfante lock up clutch, getting the car a lot closer to what the (Zappia) team runs in Australia. “Once I got used to the auto it was okay, but we think there is potential to do as good if not better with the manual and clutch. It’s just something we know and have a lot of data for. We would like to eventually run the quarter mile at some stage and this combination (run at Tulsa) was only geared for eighth mile. “We have had a massive response to our social media and live coverage of the event and we’re excited to offer advertising and branding opportunities to companies and individuals who want to live the ‘dream’ with us, supporting the dream to potentially expand our program further. Our digital presence will be further ‘turned’ up for fans in both countries, so stay tuned.